This is the main reason why people are largely attracted towards videos and photos. In the first place, the brain of a human is designed to process image more fastly then text. There is no doubt that Instagram has become one of the fast-growing social media channels nowadays. We can easily state that Instagram also became a productive marketing channel for businesses. If you’re thinking as to why you should consider making an Instagram account for your brand marketing. The main reason is that it provides great exposure to your opinions and creativity. This platform is the best place for sharing your latest selfie or whatever random pictures you feel like uploading for the world to see. 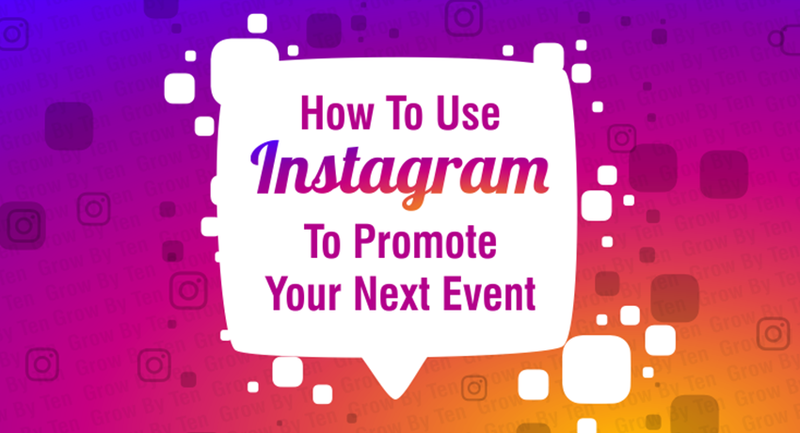 Instagram also has great potential for event promotion. This social platform has an estimated 400 million active users all around the world. You can use Instagram to post info-graphics, short videos, and images of your products to let people know about your industry. As we clearly know that visual marketing is converting into a more critical concept, in present time, Instagram is the best way to increase your online presence. Spread a picture or video of your attendees at previous events. Tag them and let their sharing spread the word! Whether an inspirational quote or a message from an Event Speaker, share something your followers would love to “Heart” and share! Record and share your event in real time using an event # hashtag. This platform is also the best place to find influencers. These are Instagram users who have already established credibility and audience. Social media contests are always awesome method to drum up hype and create consumer engagement through friendly competition. The contests are fairly simple and easy. Try to keep this in mind and have at least two or three event-related photos to post during the listed times. Also keep one thing in the mind that 5:00 pm and 2:00 am are more or less the general average time. The optimal time fluctuates depending on the day of the week. I hope this article has provided you a way to popularise your events. These guidelines will surely help you to increase your accountability in specific business.